Thai Yoga Massage is given through the clothes on a comfortable mat on the floor. A treatment lasts between 1 to 2 hours. The whole body can be massaged or we can concentrate on specific areas of concern. During a Thai Yoga Massage I use my feet, elbows, palms, thumbs and knees to apply pressure and yoga-like stretches to the body. 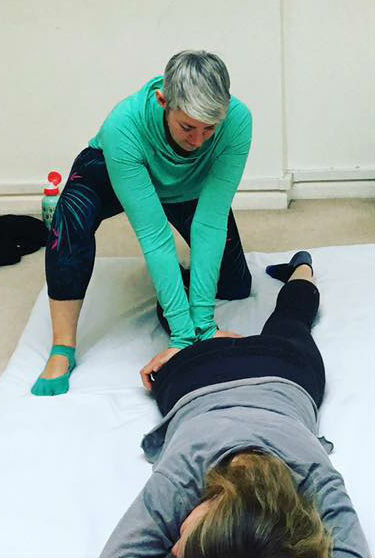 The sequences of stretching and pressure work are given in a smooth, unhurried and harmonious way with one move dissolving into the next generating a feeling of deep relaxation and balance within the body. Herbal Compresses, balms and liniments can be used as part of the massage. I qualified as a practitioner of Thai Yoga Massage with the London Institute of Thai Yoga Massage in January 2018.